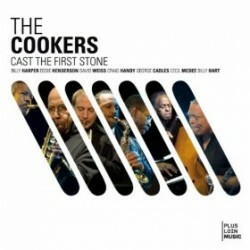 Saxophonist Billy Harper appears on Cast The First Stone, the latest CD from The Cookers. In this interview, part of The Jazz Session’s “Cookers Mondays” series, Harper talks about his involvement with the band; recounts the story of his first night in NYC in the late 1960s; and tells about how persistence paid off when it came to sitting in with one of the most famous drummers of all time. Learn more at www.billyharper.com. Tracks used in this episode: Cast The First Stone; Peacemaker; Looking For The Light; Croquet Ballet; The Seventh Day.